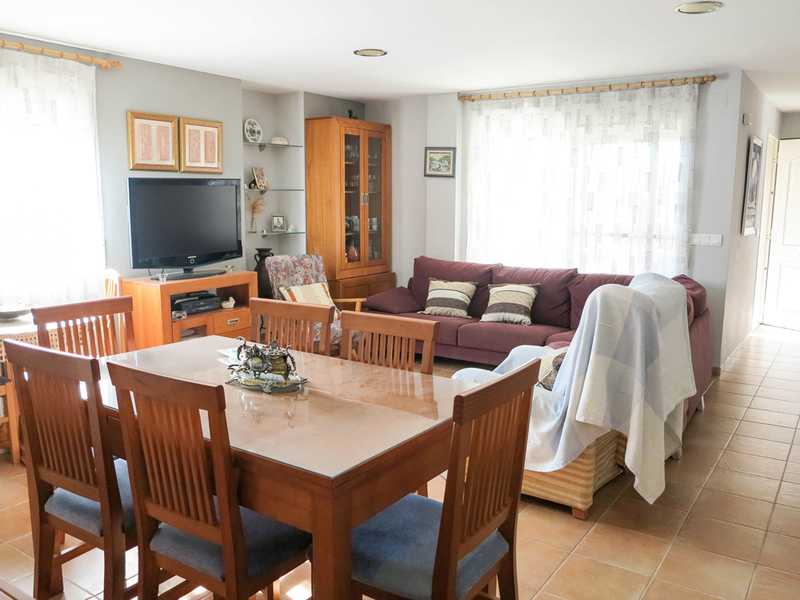 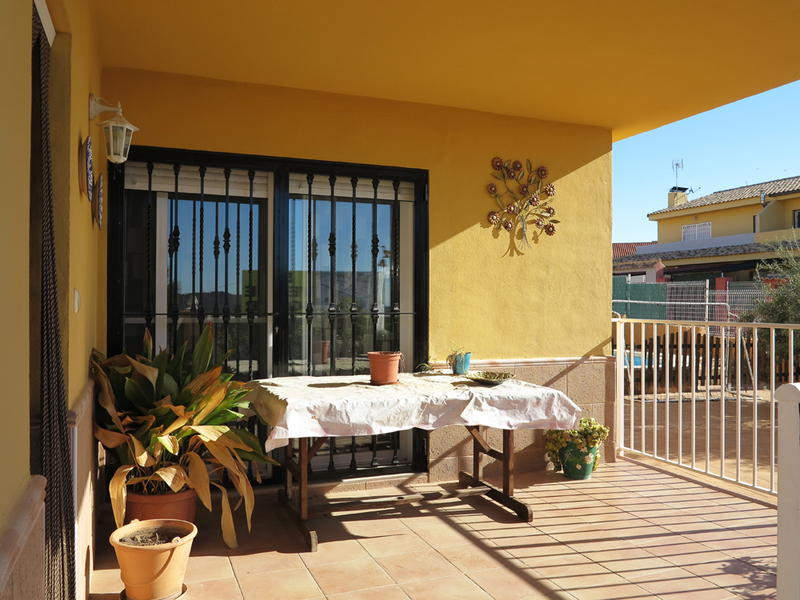 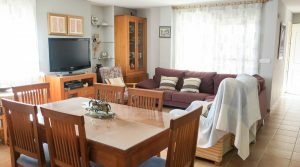 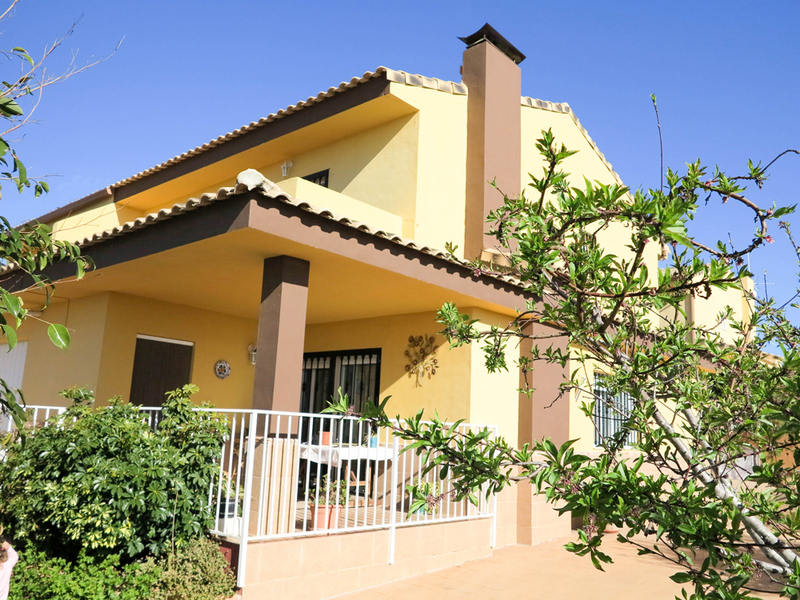 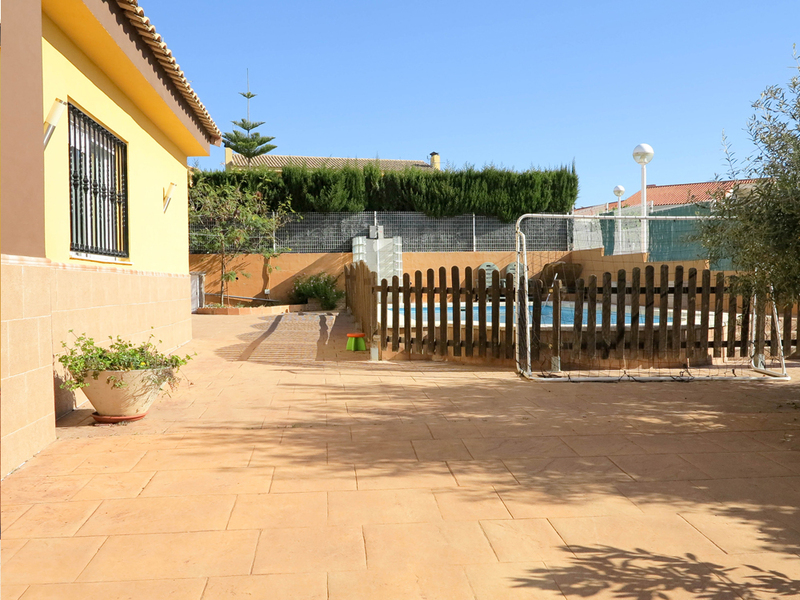 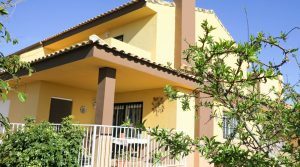 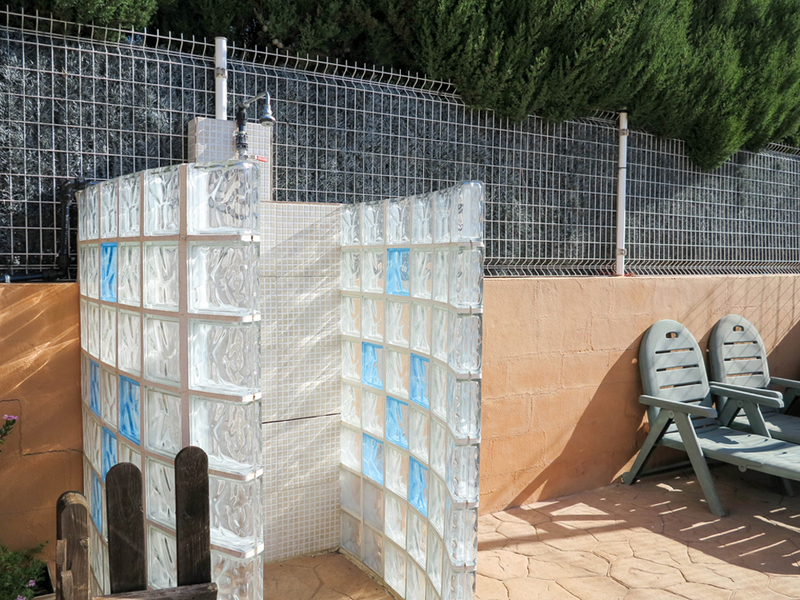 A large, quality build semi-detached property for sale Monserrat Valencia located a short distance outside Monserrat town and close to a choice of bars and restaurants. 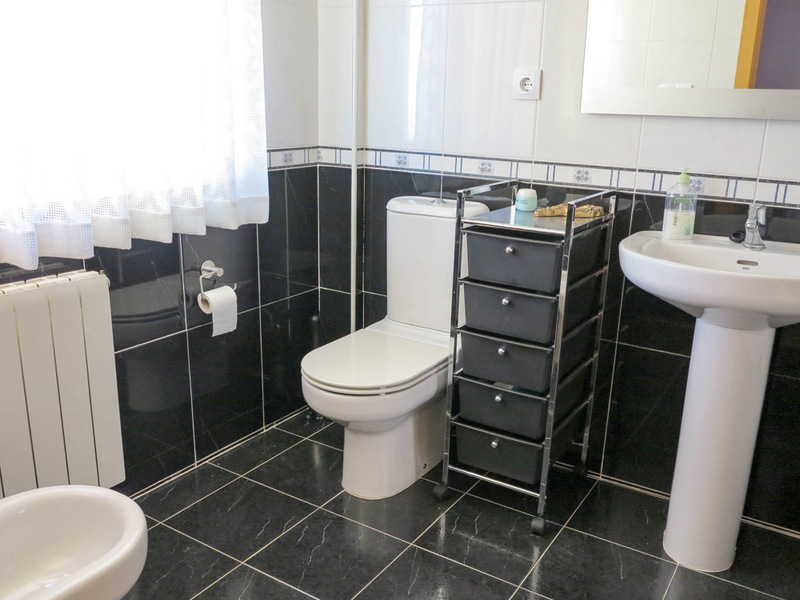 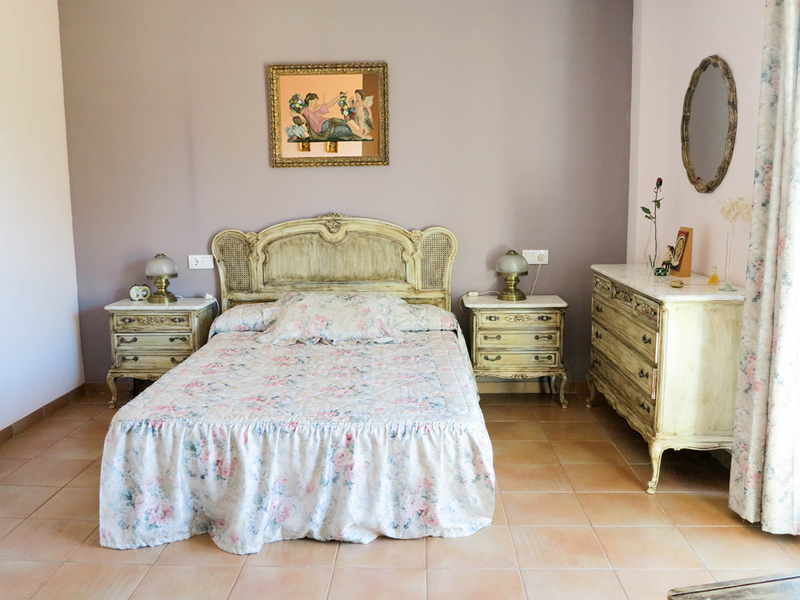 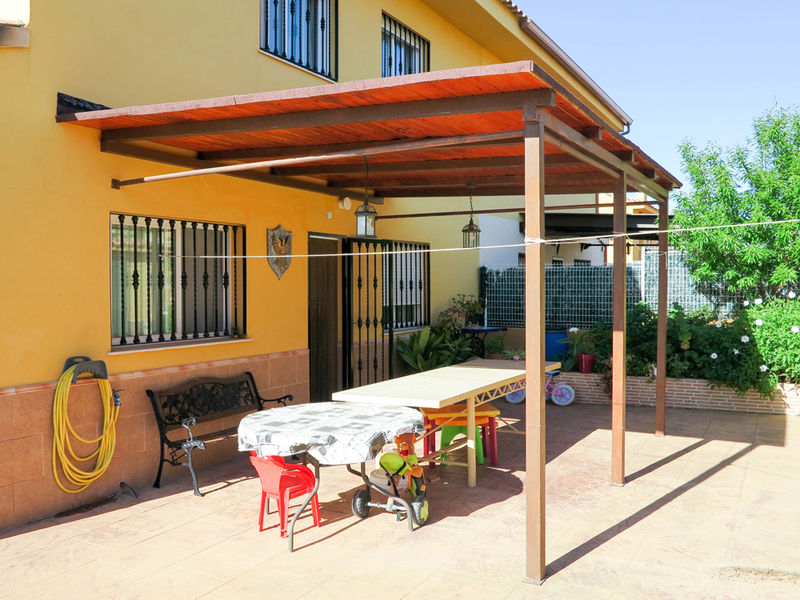 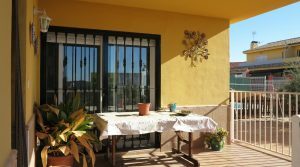 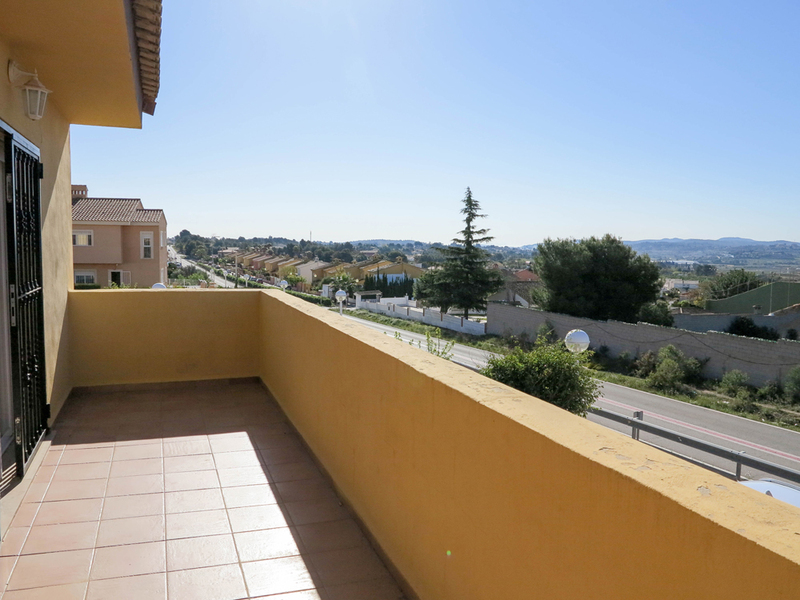 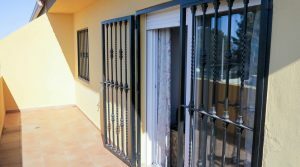 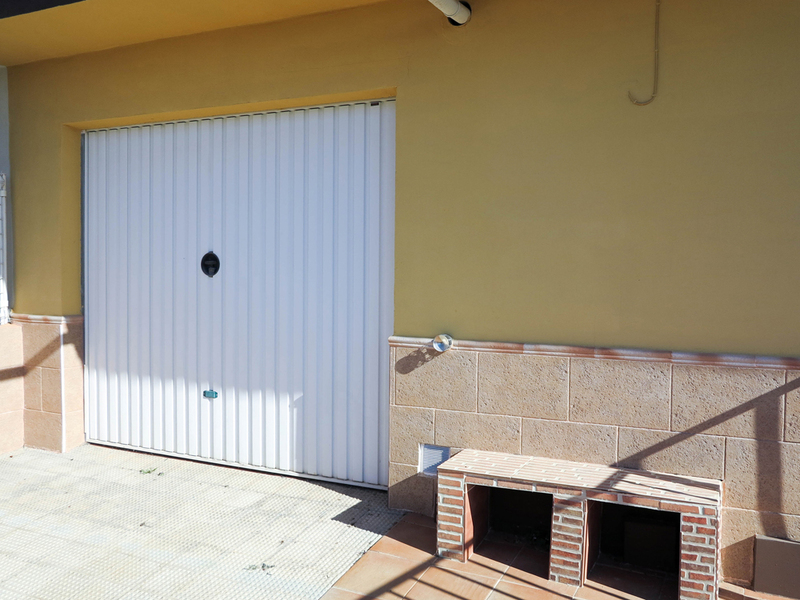 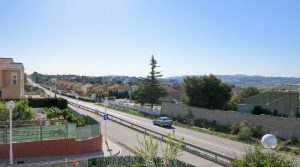 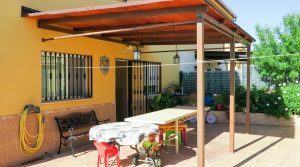 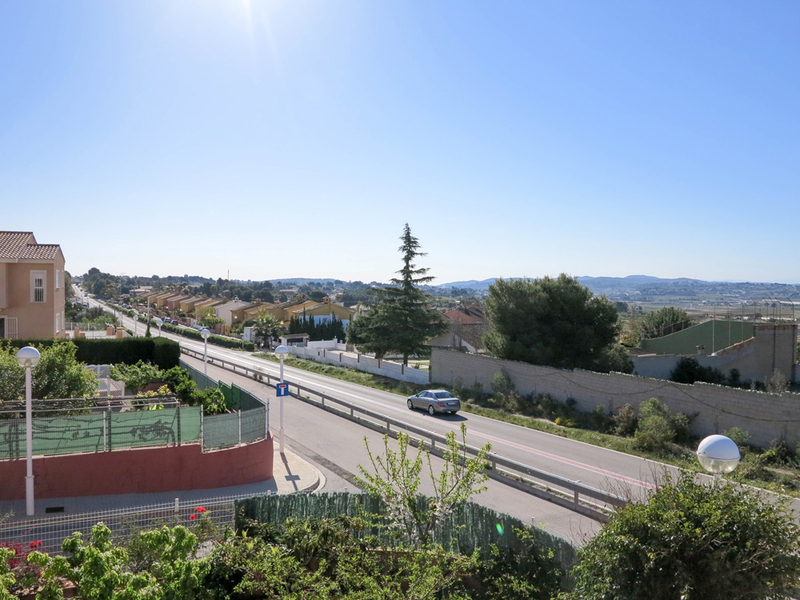 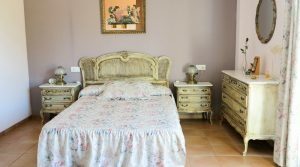 This property is located on an urbano urbanisation and close to the road between Turis and Monserrat, with a bus stop near by taking you in to Torrent where you have a metro train station and Valencia city centre. 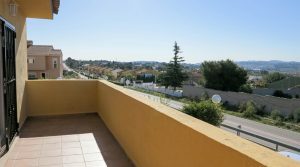 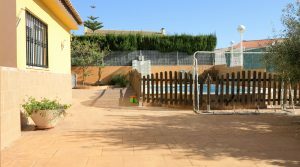 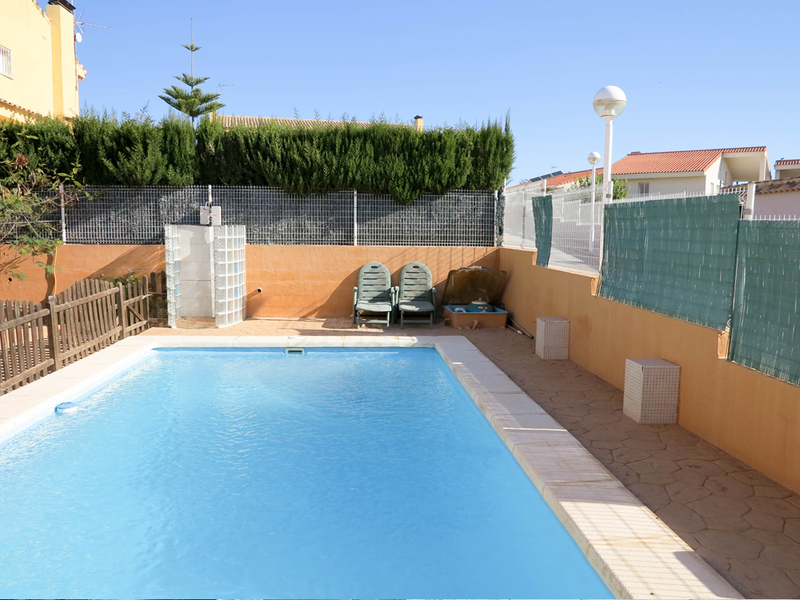 The is a very well presented property both inside and outside and it has lovely gardens and of course you own private 9m x 4m tiled swimming pool. 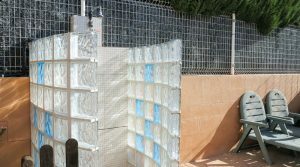 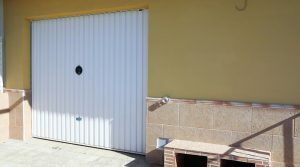 To the side of the property passing through your double gates your driveway takes you to a private garage, this also has an additional dry store room which can be used as a bodega. 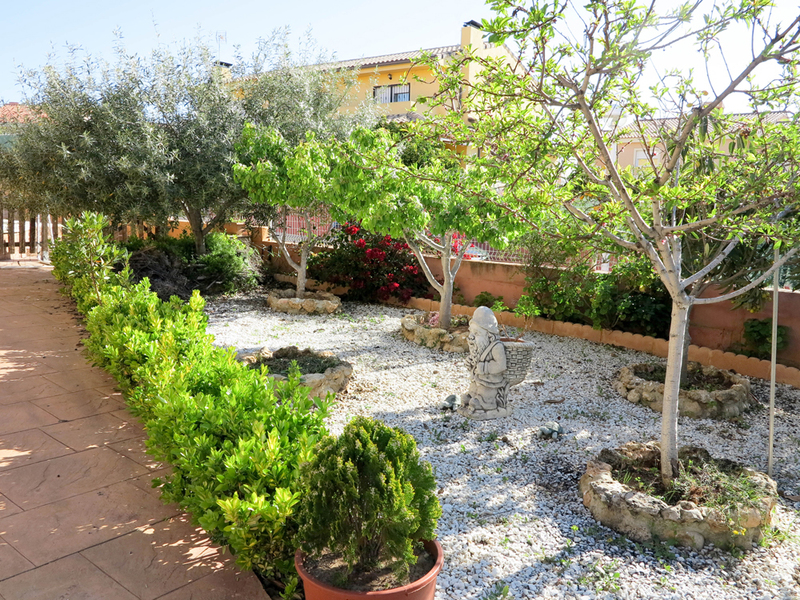 At the front of the property you have covered terrace before passing in to the reception hallway. 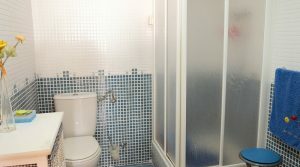 This then flows through to a large lounge/dining room. 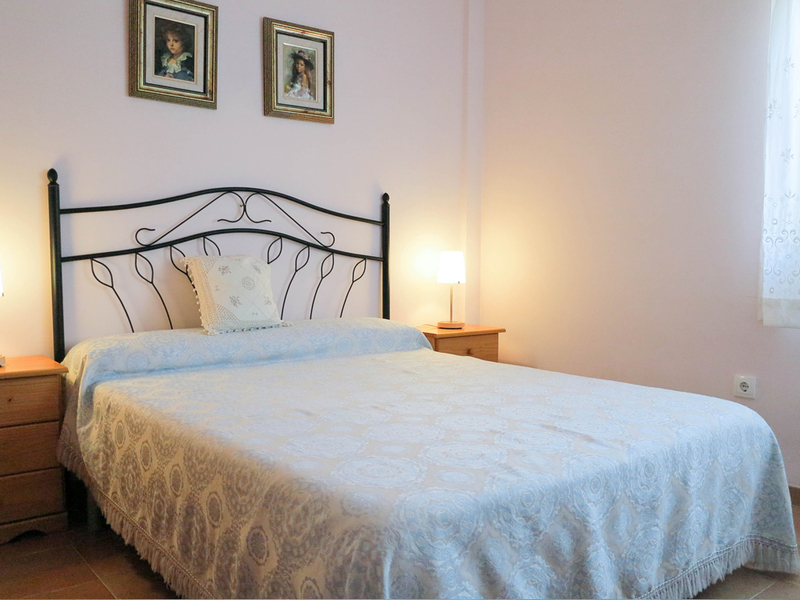 The property has cavity insulated walls, double glazed windows and oil central heating radiators in every room. 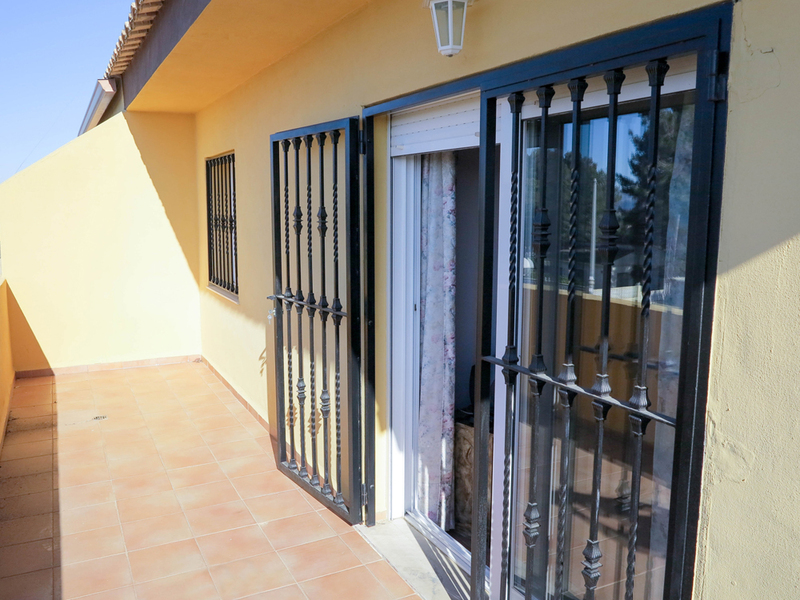 All of the double glazed windows have the persianas (blinds) incorporated together with the fly nets. 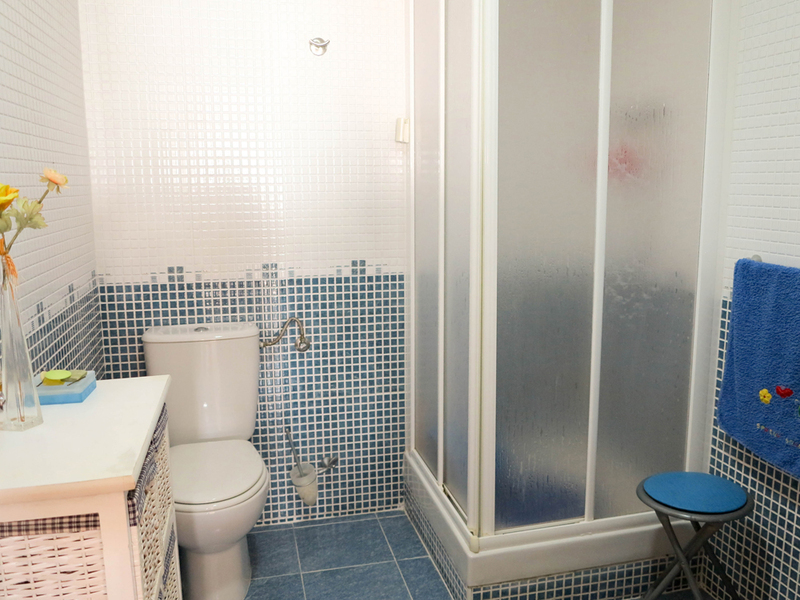 This property is only 11 years old since its original construction on this designated modernly presented Urbanisation. 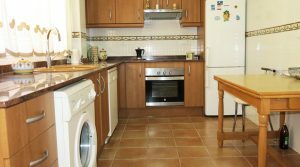 From the lounge you pass through to a spacious kitchen which has granite work surfaces and all of the modern good standard electro-domestic appliances including a dishwasher and vitro-ceramic hob. 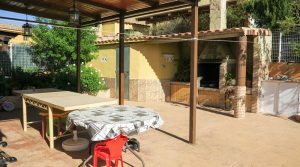 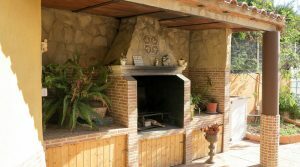 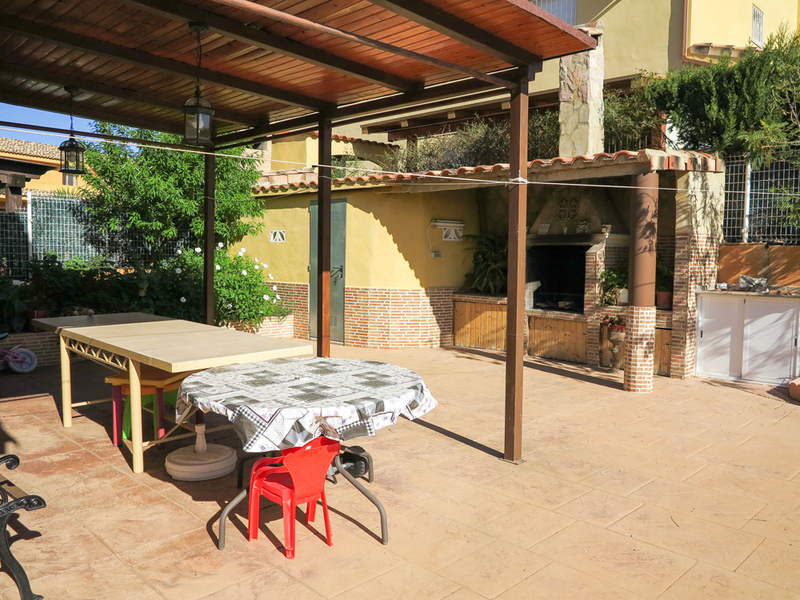 The kitchen has a back door taking you out to a covered terrace and a large courtyard where you have you brick built barbecue area (paellero) and access to the swimming pool. 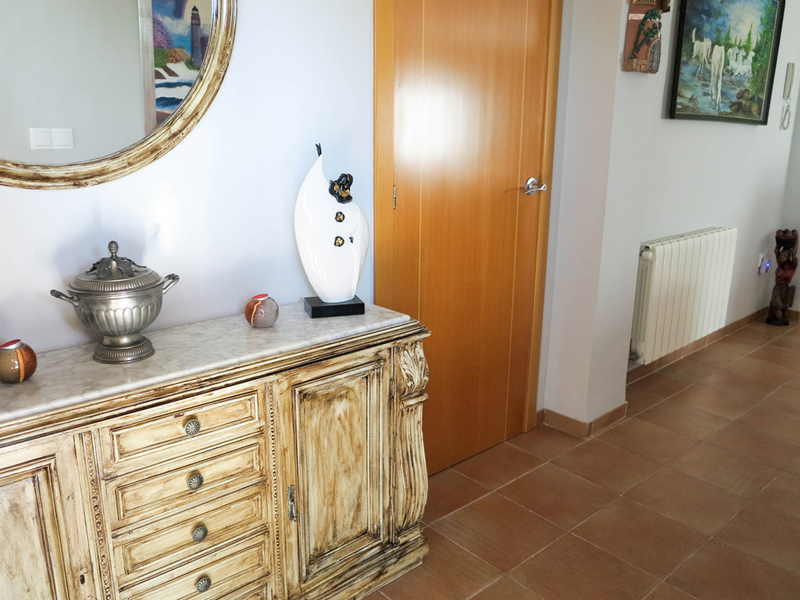 Back inside the villa on the ground floor there is a small hallway taking you to the ground floor bedroom and also a separate family bathroom that has a shower. 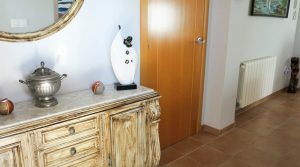 Upstairs you first appreciate the marble staircase taking you here before you arrive at a wide hallway which then distributes to another good size bathroom, two further double bedrooms (each with fitted wardrobes) and then the large master bedroom which has its own dressing room, en-suite bathroom (with bath) and patio doors taking you out to your own private balcony terrace. 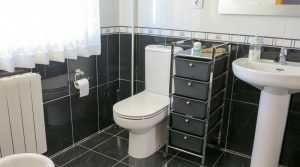 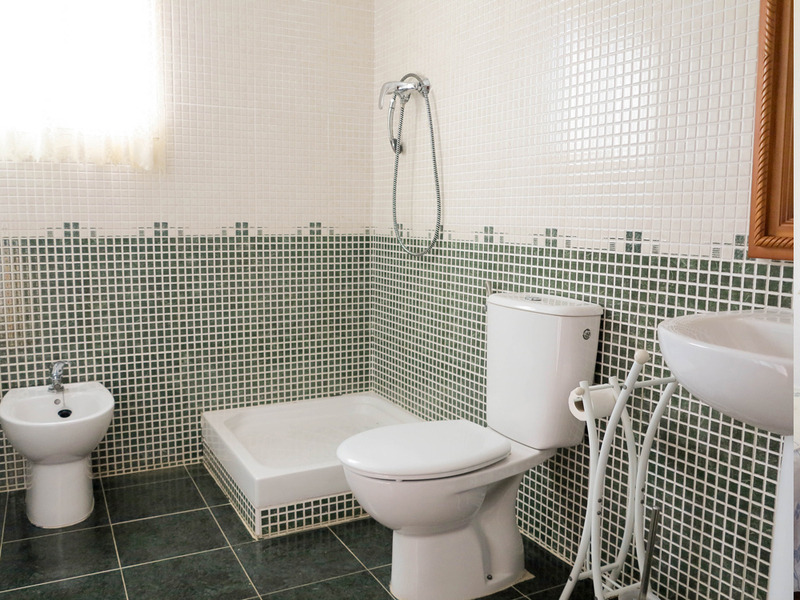 Throughout this property good quality tiling has been used and quality wooden doors on each of the rooms and fitted wardrobes. 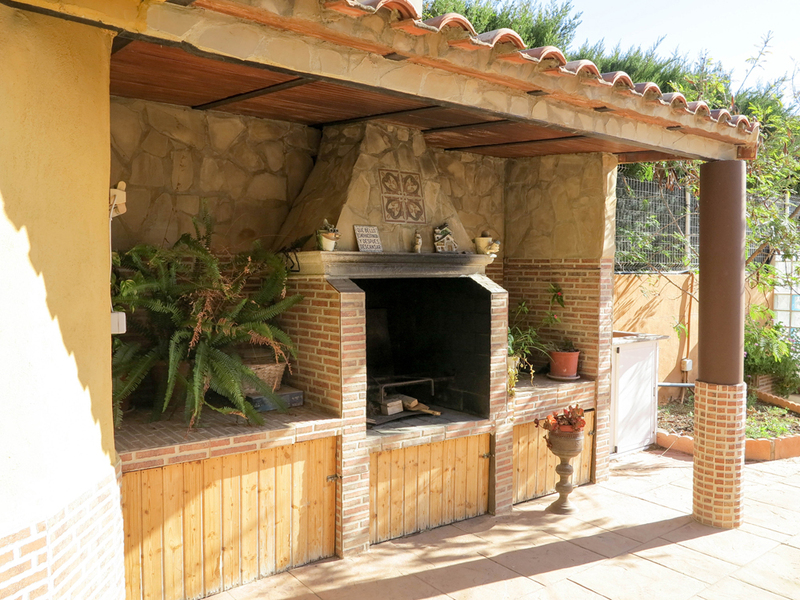 Outside and next to the barbecue in the rear garden there is a store room. 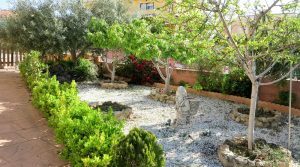 The gardens have been landscaped well with some lovely trees, palms and pants all on an automatic irrigation system, these are all complemented by both tiled and coloured concrete impression terraces, giving the gardens a very beautiful appearance. 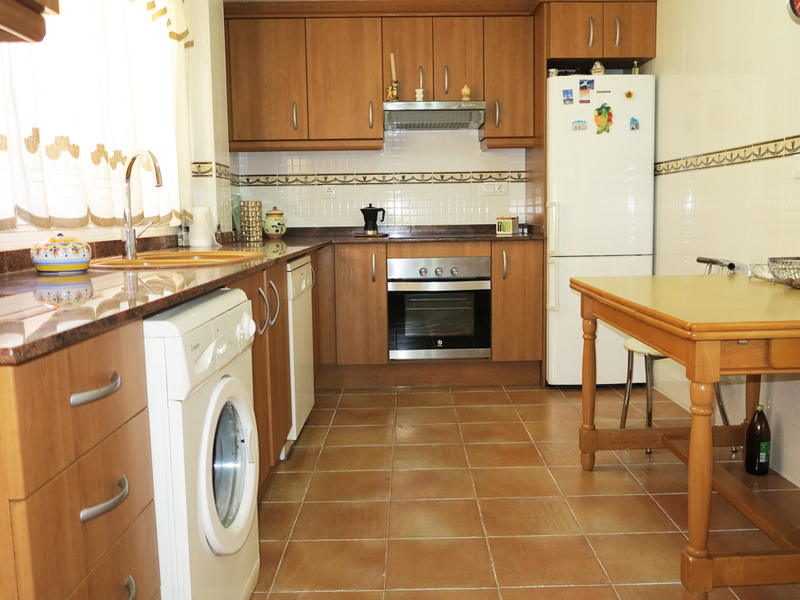 This large property is being sold fully furnished.